Optika Opticians will be opening a new optical shop at Pendergardens, featuring a selection of fashionable and functional eyeglasses, contact lenses, sunglasses and eyecare cosmetics designed for contact lens users and people with hypersensitive skin. The new store, along St Andrew’s Road in St Julians, is Optika’s fourth outlet in Malta. Since 1965, the family-run business has established itself as one of the most trusted opticians on the island. With the opening of the new store at Pendergardens, Optika’s emphasis will continue to be on customer service, ensuring everyone has a first-class experience when visiting any of the four outlets. Optika’s mission has always been to provide an efficient service while also providing individual attention to each customer. “At Optika we go out of our way to provide the highest standards of eye care and eyewear by investing in the latest equipment and building a professional team. Our new leading store at Pendergardens was built around the needs of our patients and customers as we aim to uphold and improve on the service our outlets are renowned for,” said resident optometrist Jerome Gabarretta. For the past 50 years Optika has not only proved to be a national frontrunner in the eye health industry but through its stores in Sliema, St Julian’s and Rabat it has turned out to be a one- stop shop for all optical things and necessities. “We want to make sure that our patients’ eye-care needs are catered for through the optometric services my brother Kerstien and myself provide, as well as roping in other ophthalmologists who will complete the team,” Mr Gabarretta added. The new store is set over two floors, with a retail area on the ground floor which will display the latest eyewear (sunglasses and optical) collections from major brands. It will also be stocking the latest ranges of contact lenses and contact lens care products. 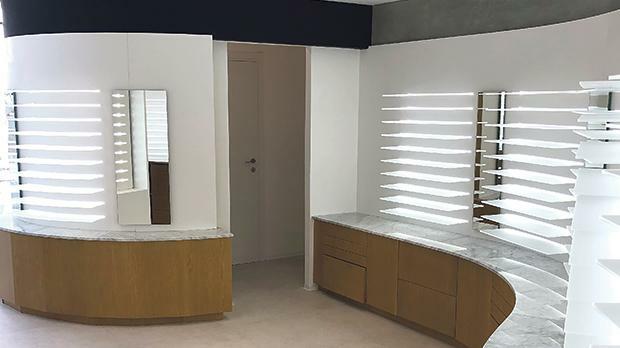 On the upper floor the new store will have Optika’s state-of-the-art clinics with the latest diagnostic equipment to offer the very best eye-care experience to patients. The car park will also be available for Optika’s customers to use.